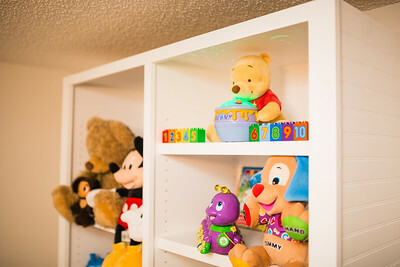 The idea behind it is to do something special for my son. 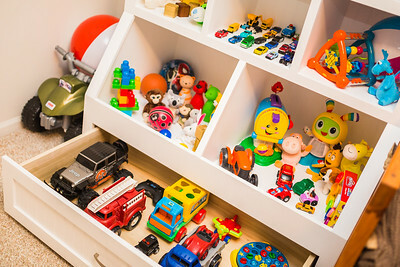 My family was abroad for a while to visit both grandparents so i had to find a good use of my free time.The toy storage. 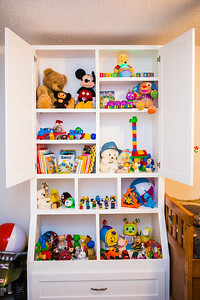 I made it tall to keep some of the toys out of his sight for a while. 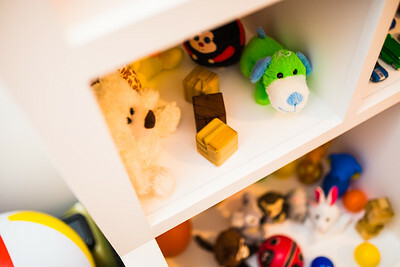 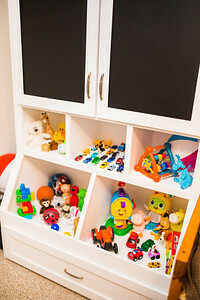 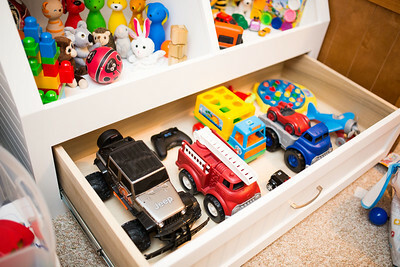 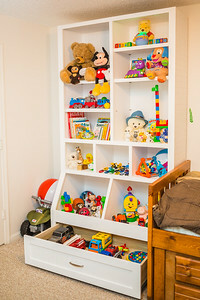 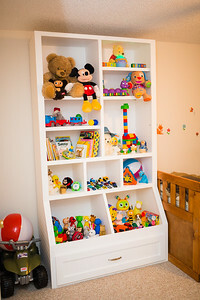 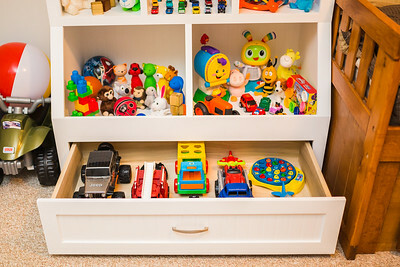 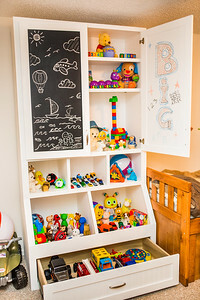 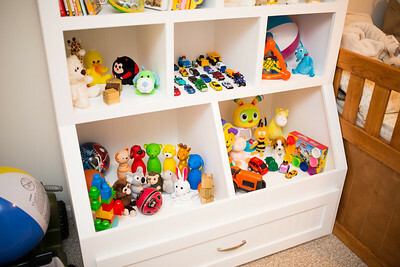 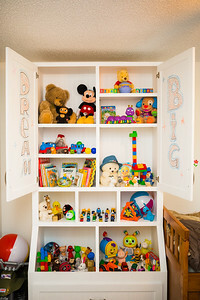 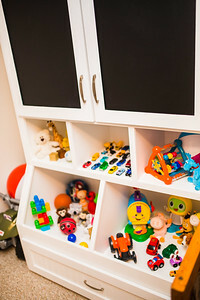 There is soft closing drawer for him to use and two soft closing doors out of his reach, so my wife can pull out new toys as needed to keep him entertained, instead of everything laying around the room. 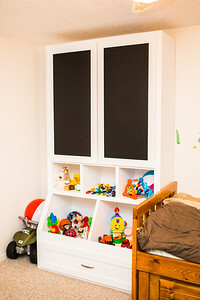 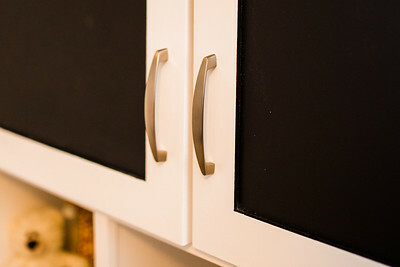 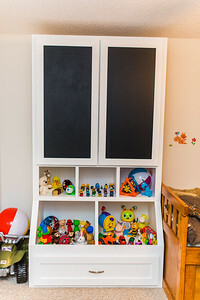 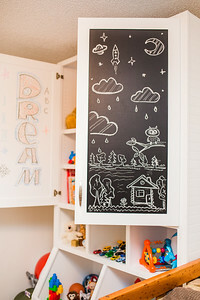 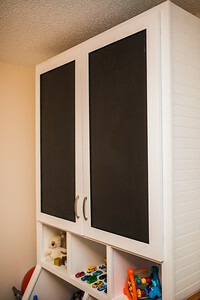 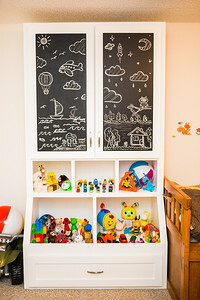 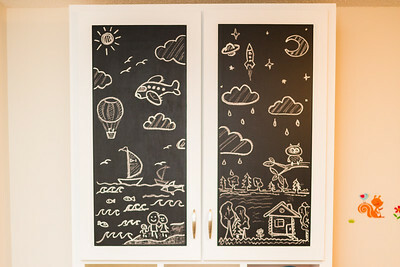 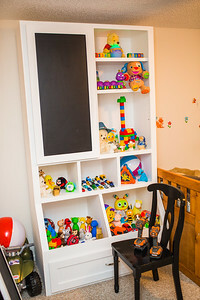 I painted the doors with chalk board paint to be able to draw (copy) some of our drawings to make it more interesting and suitable for a play room. 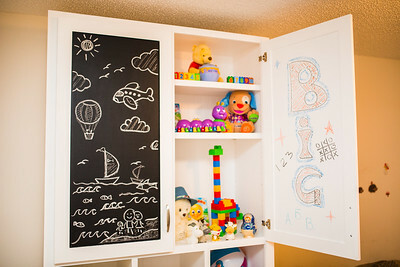 Open spaces are for him to use at any given time. 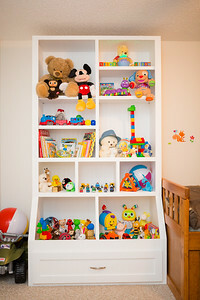 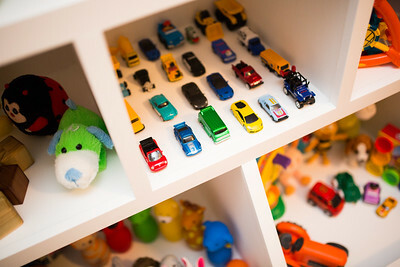 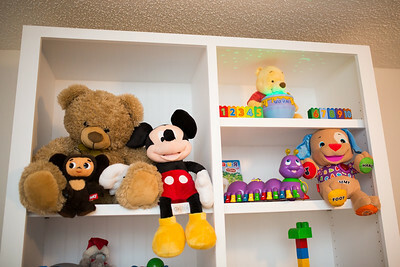 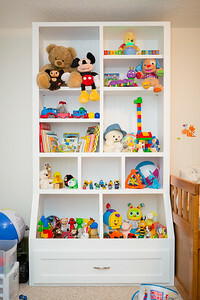 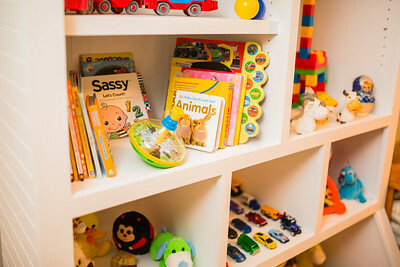 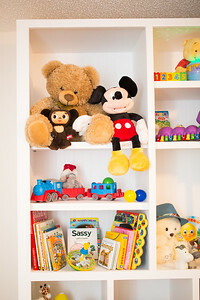 Decorated with toys and books for a documentary purposes and being reorganized at the moment.